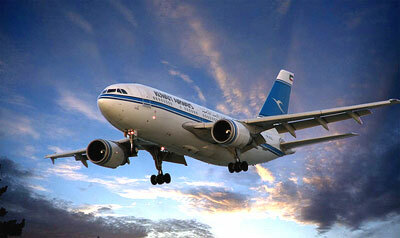 Kuwait Airways is the national airline of Kuwait with its main base in Kuwait City. The airline served scheduled international flight services throughout cities across the Middle East, Europe, Asia and North America. The main primary international gateway and hub is at Kuwait International Airport. Being a member of the Arab Air Carriers Organization, Kuwait Airways is also the first airline to be created by an Arab state in the Persian Gulf. Kuwait Airways has signed code Share agreements with Air China for the Beijing route and also with Ukraine International Airlines for its Kiev route. 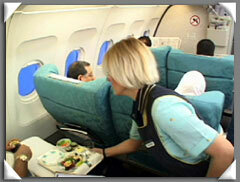 Kuwait Airways frequent flyer program is known as the Oasis Club.